Welcome back to the Ruby Slip Sew Along! 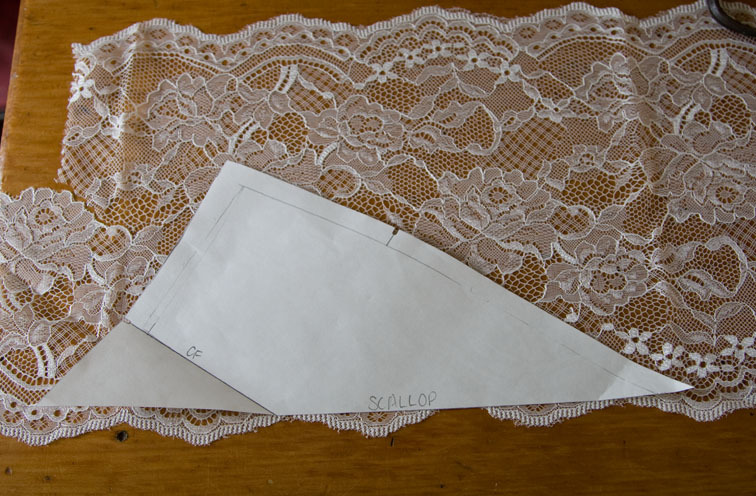 Today I’ll show you how to cut out the border lace so that the scalloped edges line up perfectly at the seams and other important points. 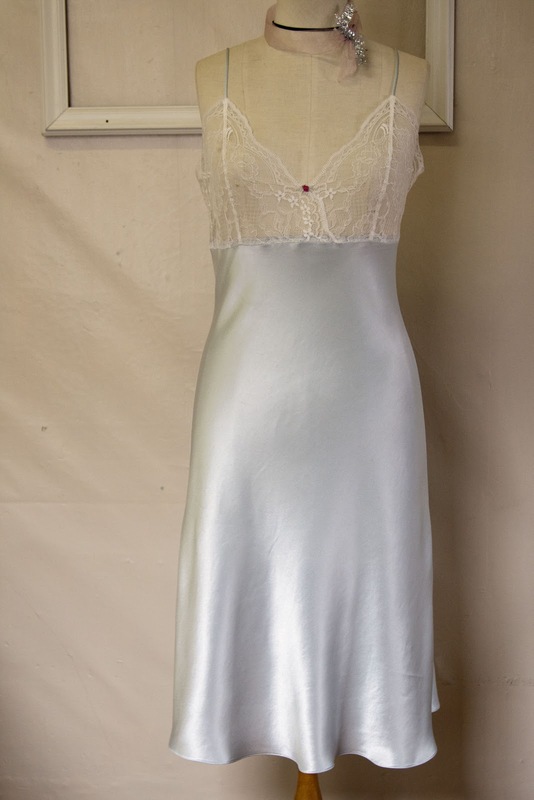 I used a polyester crepe backed satin for this version, and it has sewn up really nice on the bias. 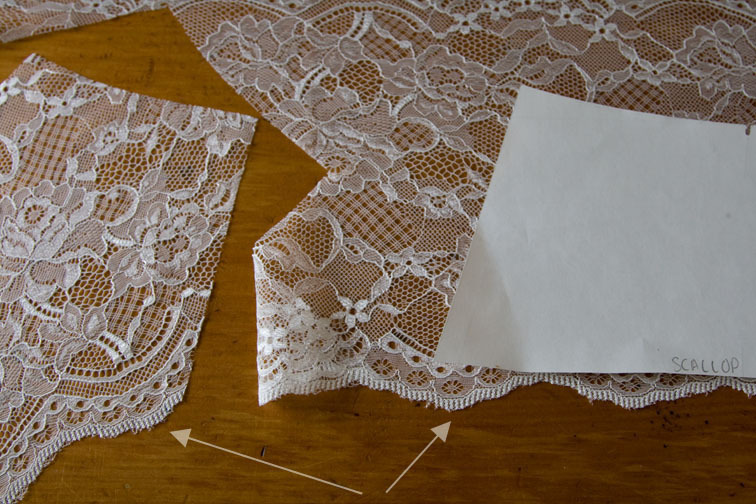 It is best to run through the process of planning your layout to make sure you have enough lace before you do any cutting, then you can make any adjustments as necessary. 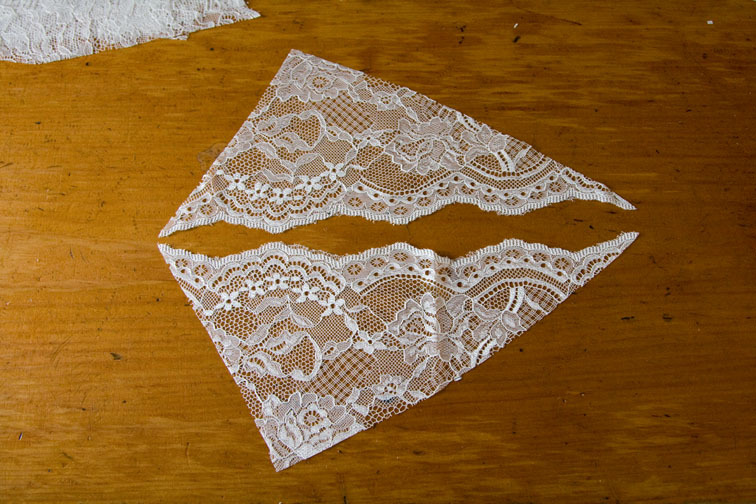 Lay your lace out right side up. It is important to stop here and check where the Centre Back is located. 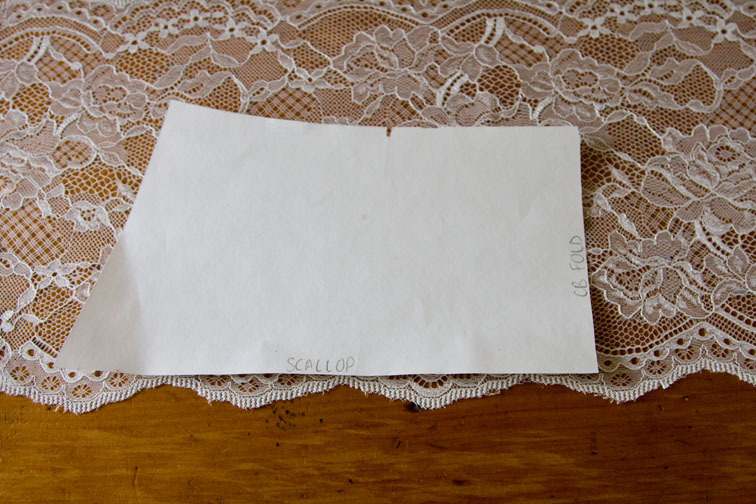 Whoops – it is not quite centred on a scallop here! This is a good reason to run through the layout briefly beforehand – so you can plan the best outcome. 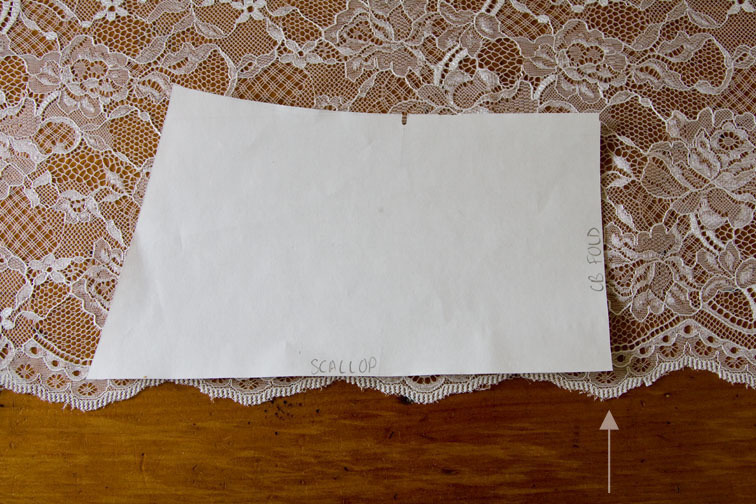 I cut half the back piece, then fold it along the Centre Back line – ensuring the scallops align perfectly – then cut the remainder. Even though your pattern has a full back piece, I still recommend doing this. 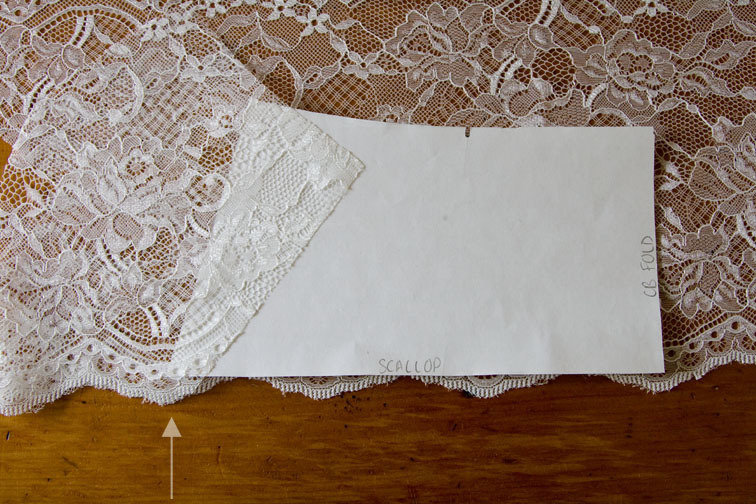 Every lace is different – notice I am using the opposite edge of the lace to get a perfect mirror image. If you are unable to do this just match the scallops. 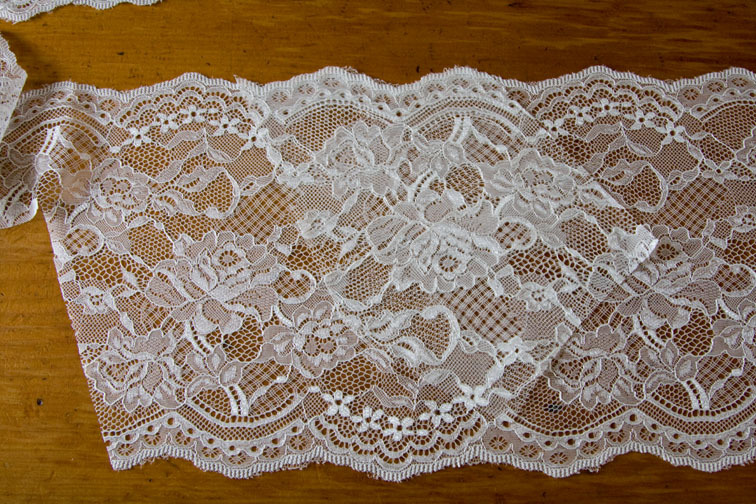 Notice also how some lace is wasted because of the large pattern repeat. And finally – I like to lay them all out and double check everything lines up and the patterns match, and generally admire! At this stage I usually can’t wait to get to the machine! 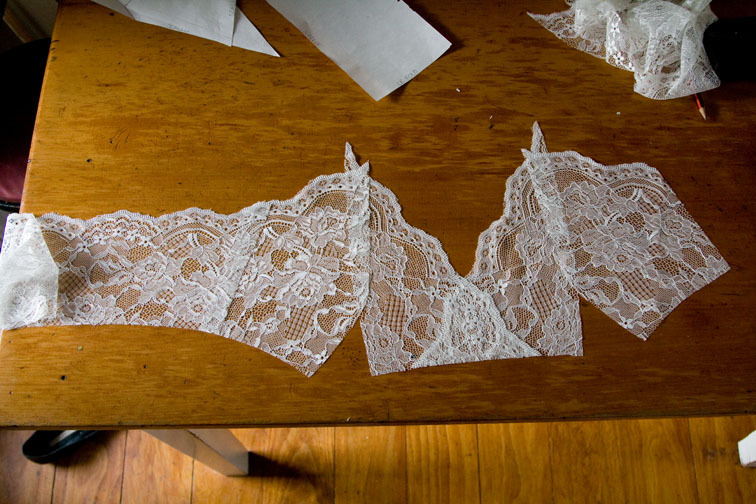 I really enjoy cutting lace and seeing how it all comes together. Don’t forget to ask questions if you need to, and let me know how your skirt cutting went too! 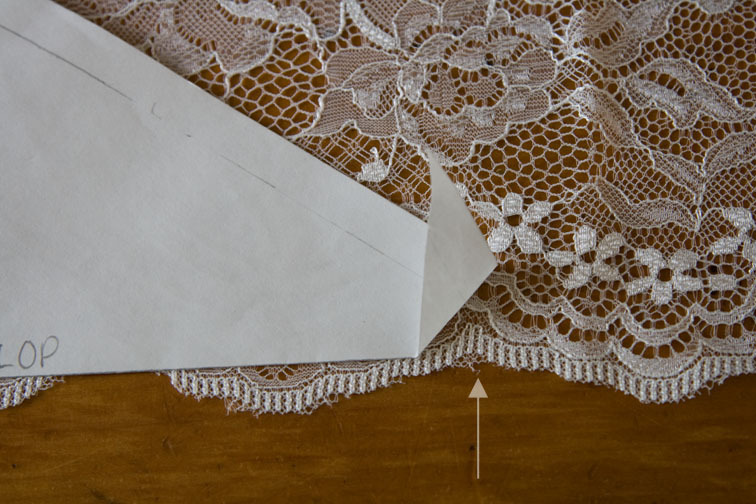 Next up I’ll show you how to do an FBA, and then an alteration for using a narrower lace. And shall I start a Flickr group so we can share pretty pictures of all our fabrics? 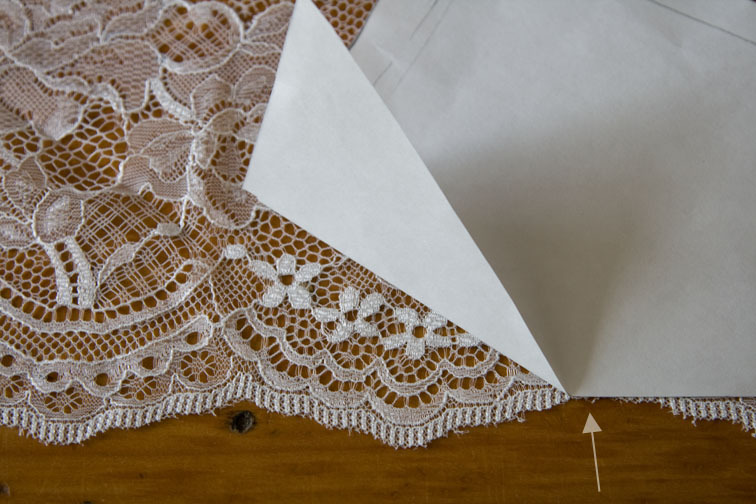 It could be helpful for lace cutting queries too. Let me know in the comments! Okay, so I get all stupid excited when I see your posts come up, because I know I'm going to be learning something new and cool. Never fails, thanks Sherry! Really looking forward to the FBA post. I love this. I'm not sewing along because I've got too many other things on the go, but I will definitely be coming back to it in the, hopefully, near future because I really need a couple of slips. I really appreciate the amount of work you are putting into this. 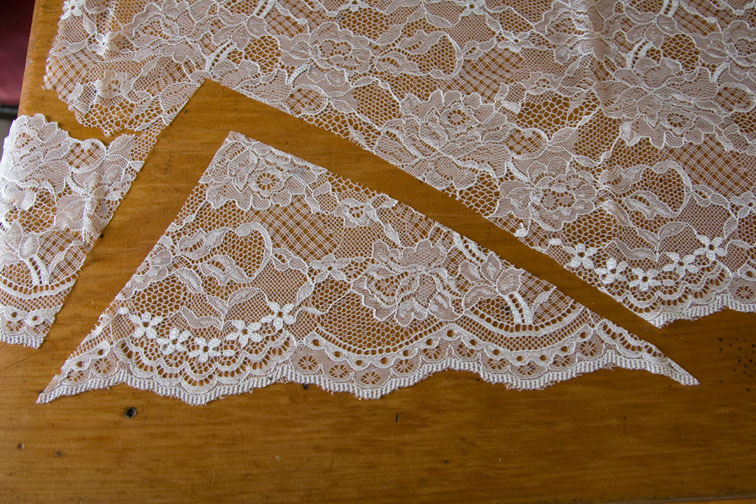 HI Sherry, I plan to join in as the slip is gorgeous and I love bias cut, but I need to practice more with it. As soon as you get the FBA adjustment up then I'm in! ps I'm a D cup in a bra. Looking at your pics I instantly assumed the bust area would need adjusting for me. Would I assume I need an FBA? 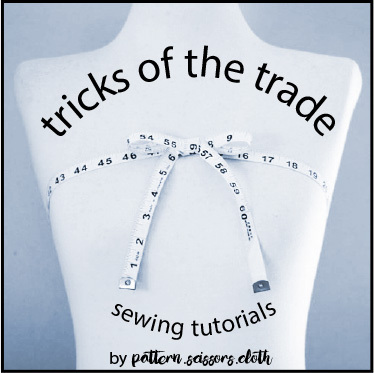 As a person who does not have the time to sew along, it is delightful to read along! 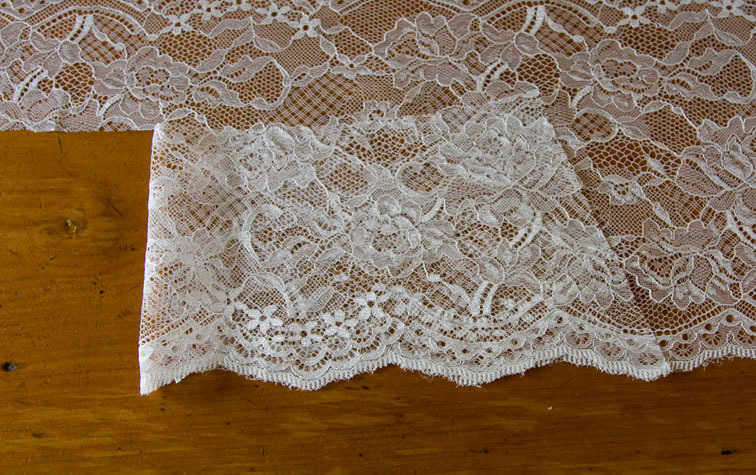 My goodness that lace is pretty. Every version of this slip is just gorgeous. Great pictures! You are a great teacher. As many: looking forward for the FBA. Your slips are beautiful! 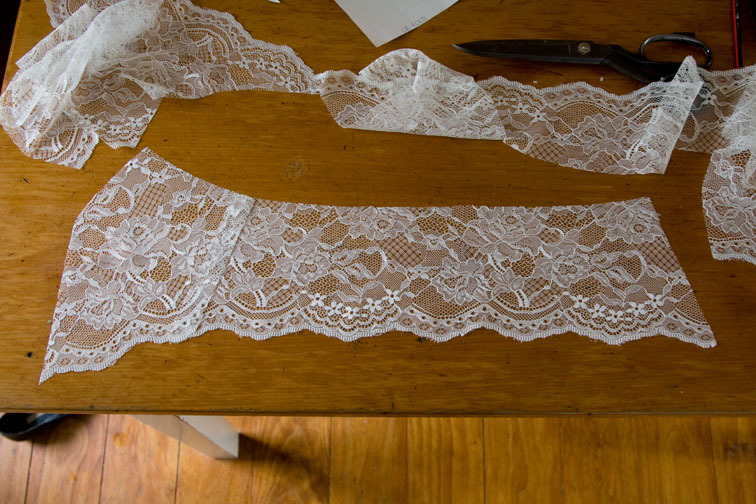 Ooh, this seems more complicated than I'd imagined (just cutting the lace all willy nilly) 🙂 Can't wait to hear more about the FBA. 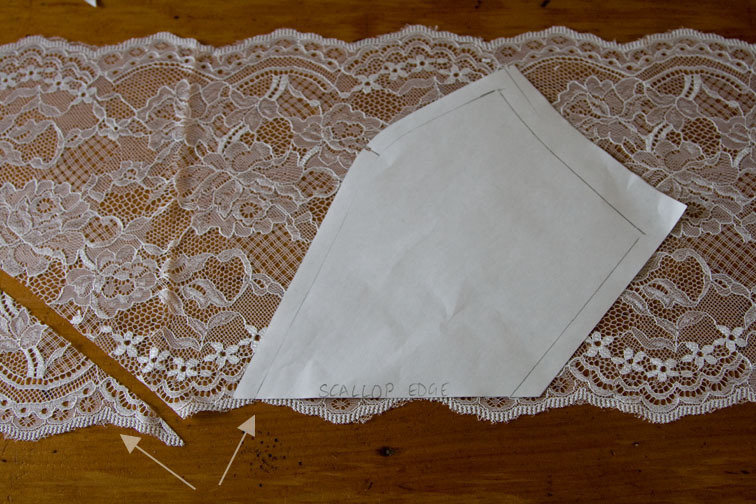 I'm curious to know if you will gather the lace at the centre bust (to give more fabric to cover breasts but not to significantly increase the skirt dimensions) or if you will 3-piece cup the lace. Or maybe there's some other way I haven't considered (likely). 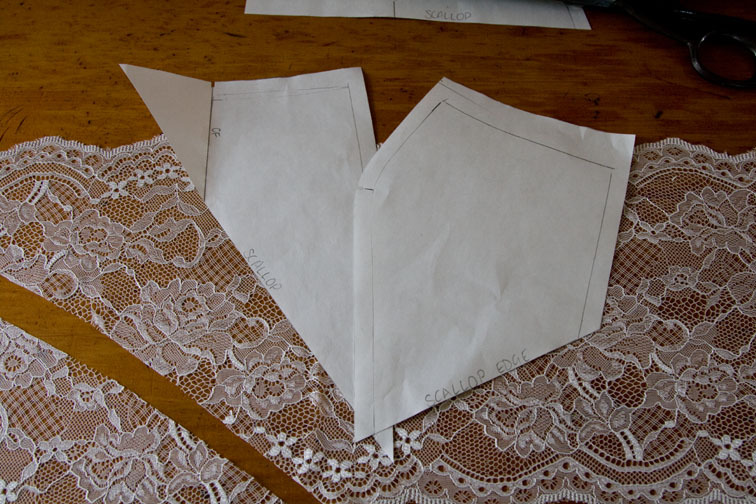 I measured, against the size 12 pattern piece, another underbust of a slip with lace which fits me well. 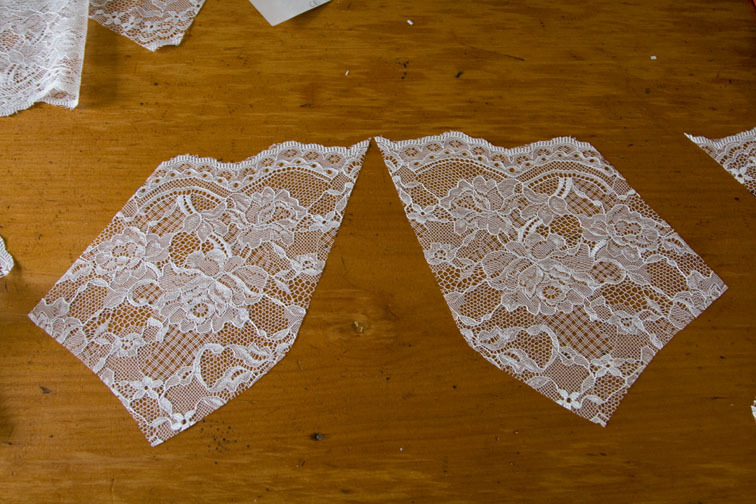 They appear to be the same size, taking seam allowances into account. My slip has no stretch but I can still remove it over my bust / head. Vis a vis your comment yesterday, I'm curious to know if there's a way to do the FBA without increasing the underbust size. OH wow. Each version of the slip that you've posted has been more drool-worthy that the last. So beautiful! Such a lovely clear, thorough tutorial. 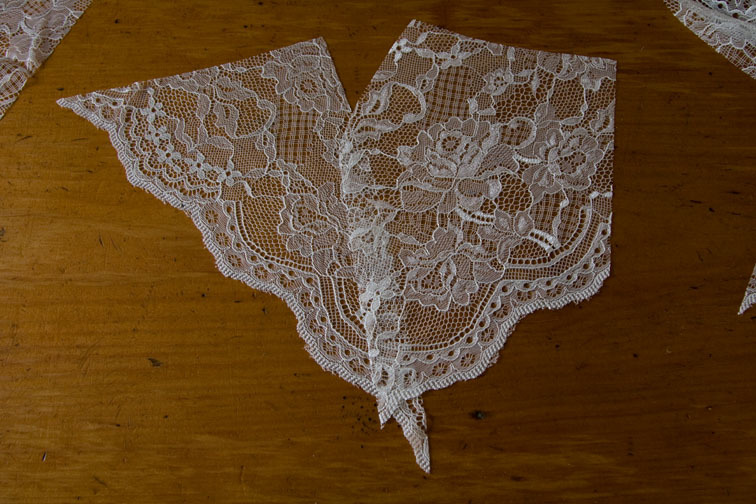 I am itching to cut out some lace now. I have a small pile of luxurious slip fabric lying next to the enormous pile of Christmas sewing, quite motivating really! Love your tutorials, Sherry…so interesting. I always wondered how they got the scallops on the edge! Now I know. What an absolutely stunning little slip! Great tutorial! 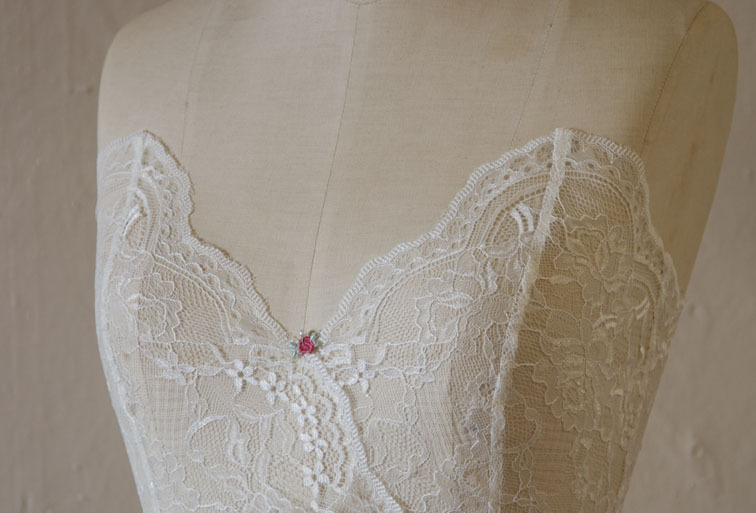 I especially love the lace bridal fabrics you used in this post.